This is a love song devoted to that special relationship between grandparents and grandchild. The kitchen window at Nanna and Poppy's house is, for one little girl, a magic gateway. Everything important happens near it, through it, or beyond it. Told in her voice, her story is both a voyage of discovery and a celebration of the commonplace wonders that define childhood, expressed as a joyful fusion of text with evocative and exuberant illustrations.The world for this little girl will soon grow larger and more complex, but never more enchanting or deeply felt. 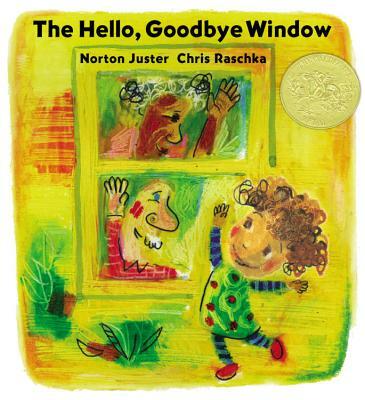 Chris Raschka is the Caldecott-Award-winning illustrator of The Hello Goodbye Window and A Ball for Daisy. He also received a Caldecott Honor for Yo! Yes? and has written and illustrated numerous books for children, for which he was nominated for the Hans Christian Andersen Award in 2012. He lives in New York City.